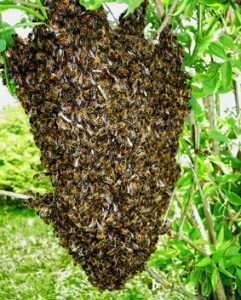 Do you have a swarm of honey bees…..
A swarm of bees will usually arrive as a “cloud of bees” with a loud buzzing and will settle “as a ball” on a tree, post or wall (see pictures of ‘clustered’ honey bees above). Once a swarm settles although there will be bees flying to and from the swarm they will generally remain as a ball for a number of hours. Once honeybees have set up home, they are a colony and no longer a swarm. This maybe in a cavity wall, chimney or eaves. It is highly unlikely that an established colony can be tempted to leave its new home, and the task is often beyond that of Kennet Beekeepers. 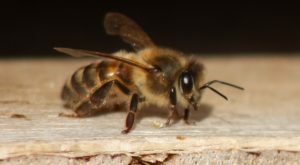 If it is possible to physically get into the space that the bees are occupying it MAY be possible to remove the comb and relocate the colony. If this is not possible, the bees will need to be destroyed. For this you will need a pest controller. Sometimes people confuse wasps and bumble bees with honey bees. 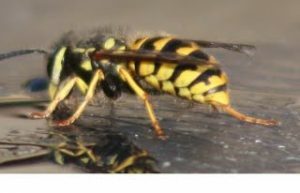 Please check the BBKA swarms help for further advice on the difference between honey bees, wasps and bumble bees. look for “Pest Control Services” in the yellow pages (yell.com). Wiltshire Pest Control (07779-945 326) covers the club’s area. 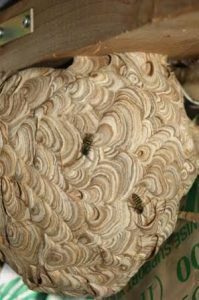 Members of the KBKA are not able to deal with wasps / wasp nests. 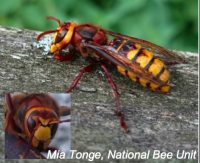 European Hornets are a native hornet. 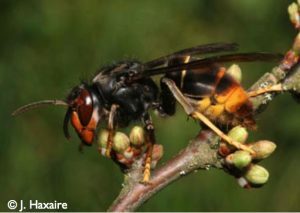 It is Britain’s largest wasp species and is predominantly yellow-orange and brown in coloration. It nests in cavities in old trees and in outbuildings. Typical habitat is old mature woodland and wood pasture. The hornet is generally secretive and docile in habit. 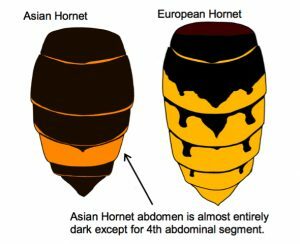 Asian Hornets are an invasive species. In 2016 the first UK sighting was confirmed in Tetbury, Gloucestershire. A nest has since been located and destroyed. Any further sightings need to be reported quickly (details below). High possibility of introduction through, for example, soil associated with imported plants, cut flowers, fruit, garden items (furniture, plant pots), freight containers, or in/on untreated timber. The possibility that it could fly across the Channel has not been ruled out. 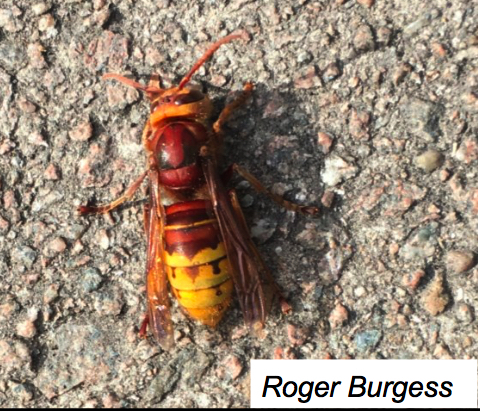 If you wish to speak to someone locally about possible Asian Hornets please contact Asian Hornet Co-ordinator using details on Contact KBKA page . 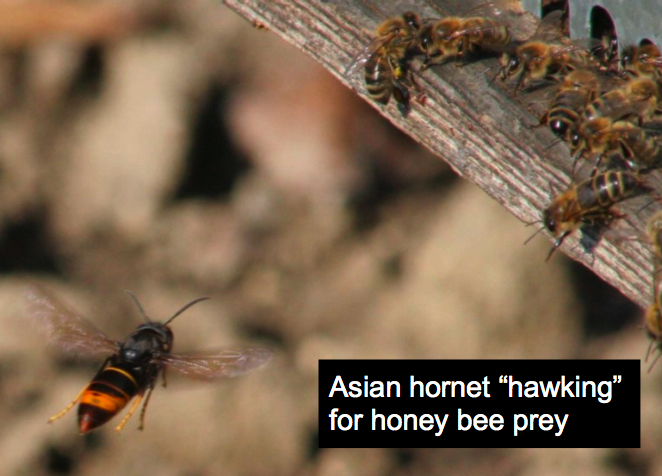 Members of the KBKA are not able to deal with hornets / hornet nests. There are more than 30 types of British bumblebees. Although able to sting, they are generally harmless unless they feel threatened. Their nests generally do not contain large numbers of bees (unlike wasps or honey bees). 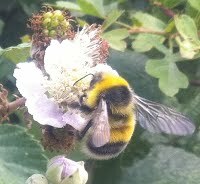 If you have a bumblebee nest in your garden or house, unless it is somewhere that conflicts with children or pets, with British bumble bees in decline, you should consider leaving it alone. They will die out naturally at the end of the summer and generally bumble nests are not re-used. Bumble Bee Conservation Trust has a guide to identifying bumble bees and more information. The Natural History Museum also has Bumblebee identification chart. Members of the KBKA are not able to deal with bumble bee nests. While we will do our best to help, our beekeepers are volunteers, so please give them due consideration, including advising IMMEDIATELY if the swarm departs, or you find another beekeeper to assist you. Information you will be asked for . . .
Are they honey bees? Members of KBKA can only collect honeybees and will not normally be able to help with anything else – ie wasps, bumble bees or solitary bees. Please look at the pictures above to help with identification. Have they settled in a cluster? When honey bees first arrive there will be a cloud of bees. They may or may not move on. They can only be collected when they have ‘clustered’. See pictures below to see a ‘cluster’ of bees. Where have they settled? In a tree?, On a fence? How high off the ground? NOTE: We can only collect bees with the permission of the land owner where the bees are situated. For Kennet Beekeepers wishing to be added to the ‘swarm collector list’, please see KBKA Swarm List Protocol 2019.